Chris joined Cognizant in 2017 and is focused on establishing Cognizant Consulting as one of the premier Digital Consultancies of the future. As CMO for Cognizant Consulting, Chris’ primary responsibilities center on developing Cognizant’s differentiated vision around Digital Transformation as we help clients move from ‘Doing Digital to Being Digital’ at speed and scale while systematically rethinking how to create value across the enterprise. Prior to Cognizant, Chris served as Group President-Head of Global Marketing for Amdocs where he was in charge of growing Amdocs’ global market leadership position in software and services for service providers in the communications, media, and entertainment industry. His responsibilities included delivering strategic insight to customers, and bringing to market Amdocs’ products, services, and solutions. This resulted in a successful repositioning of the company as a leader in Digital Transformation. A recognized thought leader, Chris has given keynote speeches at major industry events, including Telecom Asia’s Annual Telco Strategies conference in Indonesia and Futurecom in Brazil, and was a repeat keynote presenter at the World Innovation Forum. Chris also contributed to leading publications such as Europeans Communication and Global Telecoms Business. Before joining Amdocs, Chris held senior marketing positions at Avaya, Capgemini, and Fujitsu Consulting. 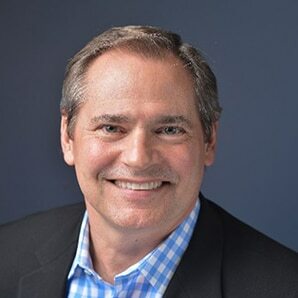 Chris sits on the board of directors for Applico Inc. and serves as a board advisor to the Information Technology Services Marketing Association (ITSMA). He holds an MBA and BS from Babson College, Wellesley, MA.